Have you ever heard pe ople joke that real life is not like musicals where people randomly break out in song? Well, my life actually is like that. I have a bachelor’s degree in music and am a certified Musikgarten teacher. 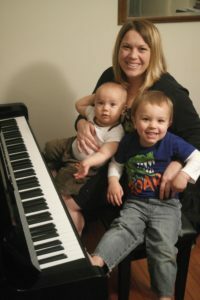 I also have my own small children that I enjoy teaching to create and appreciate all things musical in this world. My life is full of music and random singing (both “real” and “made up” songs) and I love it.